Clock House Gardens, a contemporary development on the site of the former Clock Hotel in Welwyn wins high profile awards. This was the first large scale development for Developing London and its proud founder, Clayton Lyon said "We were very pleased to acquire such an iconic and locally recognizable site. We specialize in high end family homes and this formed the ethos of the development, to bring top end finish and design to more realistically priced homes." 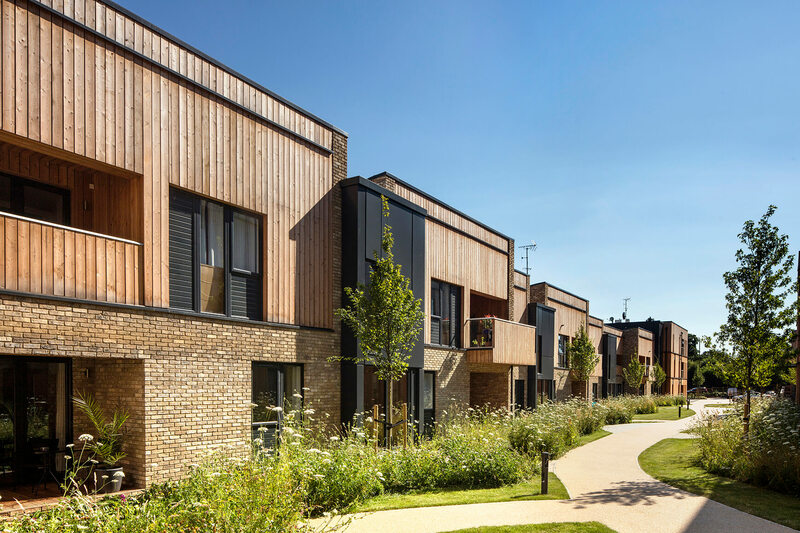 He continued "The welcoming brick and timber clad internal communal areas were complimented with stunning landscaped gardens giving a feeling of luxurious value for money." "The site's design welcomes the residents home and warm Siberian Larch reflects the silvers when the sun passes across giving a decidedly Scandinavian feel. The transition from historic village to complimentary sereneness of the contemporary gardens is a fusion that works well." Clayton concluded "We were involved from an early stage of design, contributing to the finishes and style and were passionate about ensuring all elements of the Architect's, Stockwell, vision were maintained throughout the build." Developing London bought the site from specialist local estate agents Putterills who then sold the apartments once they were under construction. Their New Homes Managing Director Mark Shearing said, "This was a fantastic and different project to have been involved with. Rarely have I worked with a developer like Clayton who has such passion for what he does, he truly deserves the recognition and awards his first large scale development is achieving."